A delegation of Ho Chi Minh City high ranking officials led by Politburo member, Secretary of HCMC Party Committee Nguyen Thien Nhan has paid a visit on March 19 to Japanese Foreign Minister Taro Kono. At the meeting, Japanese Foreign Minister Taro Kono expressed heartfelt condolences over the passing away of Vietnam's former Prime Minister Phan Van Khai. For his part, Secretary Nguyen Thien Nhan expressed his thanks to Mr. Taro Kono for the deep sympathy and showed his delight at the growing partnership between the two countries in all fields. He affirmed that the Vietnamese Government always considers Japan as an important, long-term and leading partner. HCMC Party Leader Nguyen Thien Nhan also expressed his sincere gratitude to the Government of Japan for the Official Development Assistance (ODA) projects over the past 25 years. 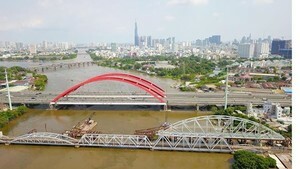 Japanese investment projects have made huge contribution to supporting Ho Chi Minh City in the upgrade of urban infrastructure and improvement of quality of people's life, he added. 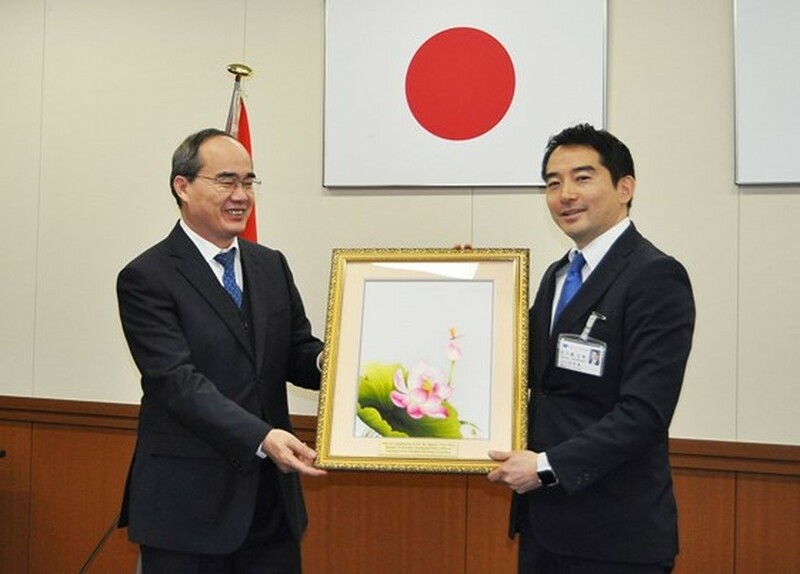 Mr. Nguyen Thien Nhan also met and expressed his wish at meetings on March 19 with Minister of Economy, Trade and Industry Hiroshige Seko, Minister of Land, Infrastructure, Transport and Tourism Keiichi Ishii and President of the Japan International Cooperation Agency (JICA) Shinichi Kitaoka. He appreciated the Vietnam-Japan relations as well as the ties between HCM City and Japanese localities and highlighted the assistance of Japan for Vietnam and the southern economic hub of Ho Chi Minh City. Mr. Nhan hoped that JICA and Japanese ministries will continue to assist Ho Chi Minh City to cope with the urban renewal matters, and provide supports to the improving residents' lives, promoting investment cooperation and infrastructure construction. 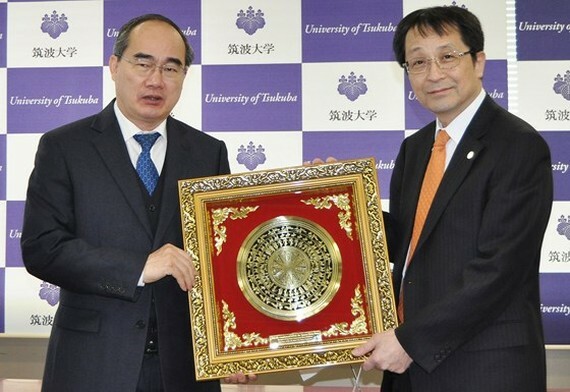 On the same day, he visited Tsukuba science city and Tsukuba University. HCMC Party Leader Nguyen Thien Nhan (L) gives a gift to Mr. Tatsuo Igarashi, Mayor of the Tsukuba city. A delegation of Ho Chi Minh City high ranking officials led by Politburo member, Secretary of HCMC Party Committee Nguyen Thien Nhan visits Tsukuba science city.